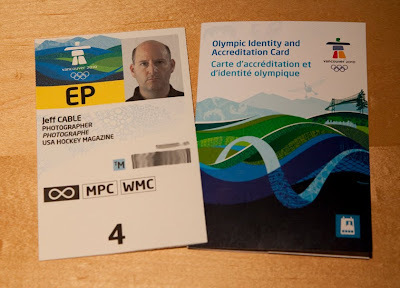 Jeff Cable's Blog: It's official - I got my Vancouver Winter Olympic CREDENTIALS today!!! It's official - I got my Vancouver Winter Olympic CREDENTIALS today!!! It is now three weeks away from the opening ceremonies of the 2010 Winter Olympics in Vancouver and I just received my credentials from the USOC and Team USA Hockey. Reality hits! I am getting prepared. Trying to figure out the best way to carry all my equipment ON the plane and thinking about all the logistics once I get there. I plan on blogging every day that I am there, with new images from the day and some behind-the-scenes stories. 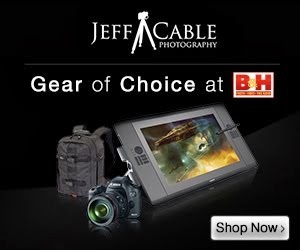 I encourage you and your friends to join my "Jeff Cable Photography" page on Facebook to get the updates. Amiable fill someone in on and this post helped me alot in my college assignement. Say thank you you as your information. I love watching the winter olympics! Have fun! Hey Jeff, just wondering what the credentials get you? Free buss rides,entrance to some of the events? Good post and this fill someone in on helped me alot in my college assignement. Gratefulness you as your information.